Wonderful words from a wonderful partner. 2014 is our 10th year at the James Lee Community Center Theater! We were blessed to be included in the original planning and design of theater space at James Lee, honored to be included in the renovation of this historic facility, and we are proud to be the resident community theater troupe at James Lee. We are thrilled with our partnership with the James Lee center staff and NCS and we look forward to a long and creative association with NCS and James Lee. The Fairfax County Dept. of Neighborhood and Community Services is the county agency responsible for the management and programming of activities at James Lee…among many other things! One of NCS key missions is community building in a variety of ways. Theatre is just one of those ways and as the article outlines, there are big plans brewing in this regard. And you know that PPF will be in the thick of it! Take a look at the newsletter to get a sense of some of the other efforts NCS is involved in. And visit the NCS Region 2 webpage for even more information about the Department’s activities. 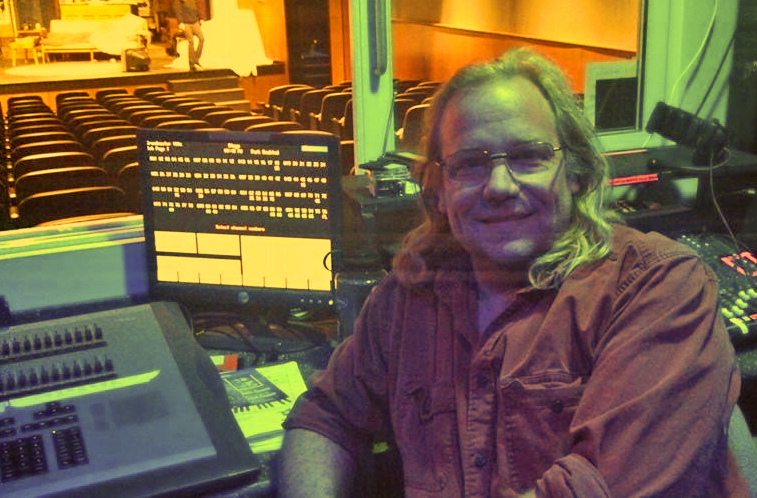 New James Lee Theater (re) Manager Dan Schrader in the Tech Booth at James Lee.